Rae is the gorgeous mompreneur behind otherware, and mama of a precious little girl named Chloe. 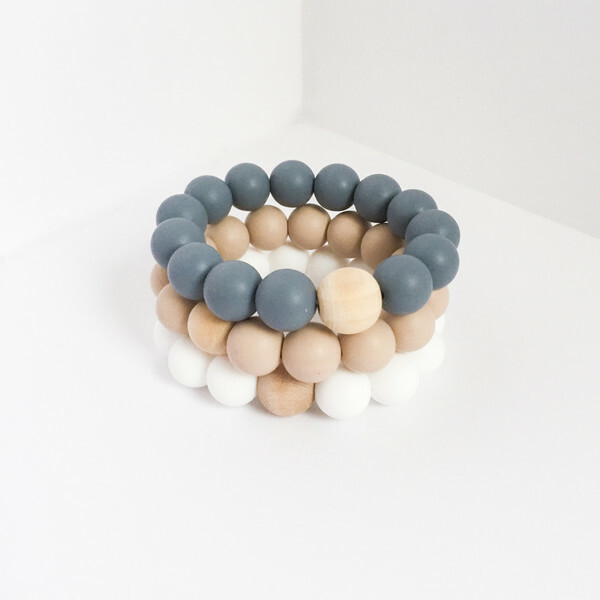 Rae creates the most beautiful natural, safe pieces for your teething babes and works hard to curate and feature amazing baby items on her website. She has the most perfect aesthetics and I am absolutely thrilled to feature her girlboss story on the blog today. Can you describe your business for the readers who don't already know you? I will keep this as simple as possible, just like my business model. We like to create well-made products that are sweatshop free. Being a mother, I wanted to create an inspirational space for other mompreneurs to discover sustainable, natural products for their little ones because as a mother myself, I know how important it is to know what our babes play, eat, sleep in. Otherware started as me a few months back and is now a collaborative goods site featuring other mommy brands from around the world. Check us out! Tell us how you decided to start. Were you inspired by your product and the need for it or did you want to start a business first and thought of the product second? Is it a full time job for you? I have always had the desire to create anything really. I worked around the world as a Creative Director for multiple agencies before I landed back in Canada just over 2 years ago. When I got home I was a little bit lost in my career, so I dabbled with some freelance design work here and there and after falling pregnant with Chloe, a few lost jobs due to the economy and a couple of other life things that happened I decided I wanted to create something fresh and I wasn’t into the typical colourful teething jewels that we have all seen out there on the market. To be honest, I had always wanted to do retail but was scared to go for it because it can be risky! This is now my full time job, besides being a mom and I love it. I have never been more passionate about anything and all of the mompreneurs on Instagram inspire and amaze me everyday. Was it hard to get things started? Can you describe the process? 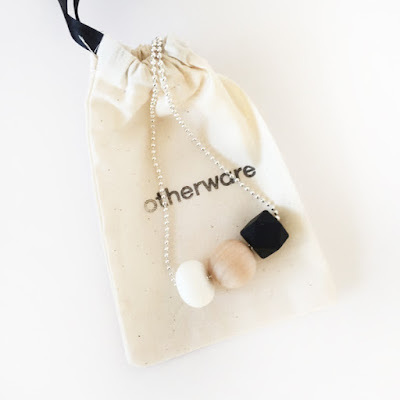 The reason why I picked the name ‘otherware’ is because eventually I had a vision of not only selling my ‘wares’ but ‘other’ people’s ‘wares’ as well. To be honest, it was so easy for me to get started because of my background in advertising and design. One day I just got the pantone books out and ordered a bunch of beads off Etsy with some extra USD I had saved up from design work! When the product came I tried a bunch of different ways of tying and strength testing them and voila! Now, whenever I have free time (rarely ever with Chloe!) I sit down and create or take photographs using my Moment Lens for my iPhone (I take all of my pictures at home and edit them myself). Nowadays, it is so easy to start a business, build a website and make a name for yourself. Especially with platforms like Shopify and cool companies like Moment Lens. How did your family react? Your husband? My husband is the best thing that ever happened to me, he never doubts anything I do. He is straight up the most loving, supportive man and I am so blessed to have him and Chloe in my life. 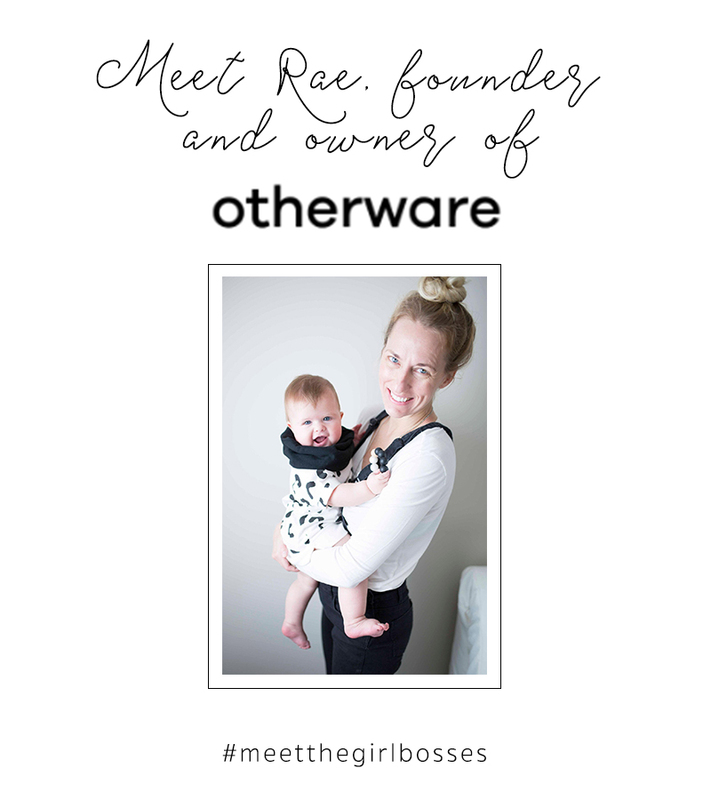 Without them, otherware would not exist! Chloe loves the beads, when she is in a good mood but she would rather the remote most days, haha! With social media, it is easy to fall in the comparison game. I believe women entrepreneurs should lift each other up - what has your experience with social media been like? Good question, I have had a few bad run ins over social media as have other close friends of mine. For some people, success is a greedy game and the jealousy strikes extra hard when one sees that someone is creating something better than them. I am not sure if it is all the hormone raging mothers or the fact that they just have nothing better to do. The worst part, these are moms bullying moms. What kind of values are these mothers teaching their children? There are a lot of us out there doing the same things, using the same suppliers, the same fabrics, colours and whatever else comes into play. We also all follow trends and if we didn’t then we wouldn’t be good at what we do. Therefore, sometimes our product can/will look similar. We are all lucky that we have the luxury of sharing on a platform like Instagram and we shouldn’t abuse that. There are approx. 7 Billion people in the world and there is honestly room for all of us. Share the love people! I have big hopes and dreams for 2016! I have already brought on board a stockist from Australia @earlyriser_ and am planning on carrying a Norwegian kids clothing brand that is absolute perfection. What advice to you have for aspiring entrepreneurs? Honestly, if you have a good idea just do it. There is no harm in failure and no reason to be fearful. We only live life once so we might as well do as many amazing things as we can before our time is up. Thank you so much for answering my questions Rae! Go check out Rae's amazing creations here and make sure to follow her on Instagram here. Love these products. So cute! 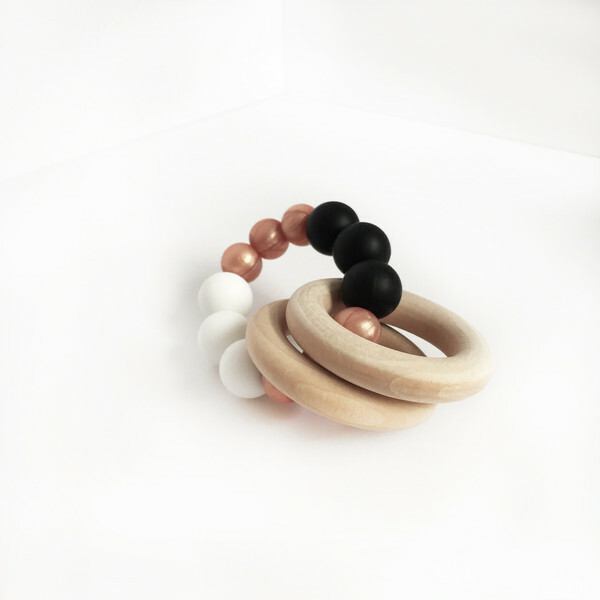 I love the design and that your products are safe for our teething babes !! can't wait to try to use one of these!